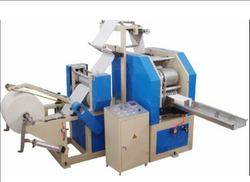 Type of paper napkin, tissues paper making machines. We are the manufacturer of the Automatic Paper Napkin Making Machine. Folding Size : 1/ 4 . Looking for Fully Automatic Paper Napkin Making Machine ?